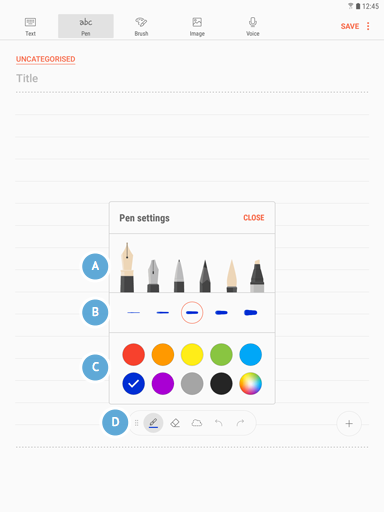 Create notes by entering text from the keyboard or by writing or drawing on the screen. You can also insert images or voice recordings into your notes. 2. 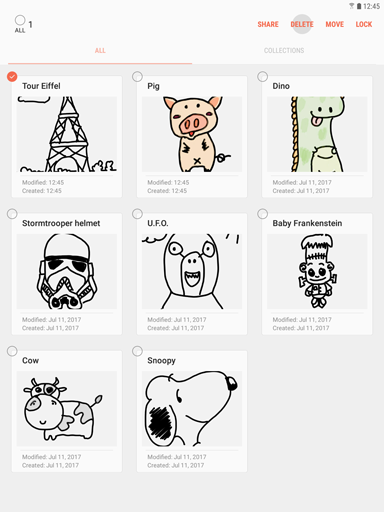 Touch Samsung Notes . 3. Touch the Create icon . • Text: Enter text using the keyboard. • Pen: Write or draw with pens. • Brush: Paint with brushes. • Image: Insert an image. • Voice: Insert a voice recording. 5. 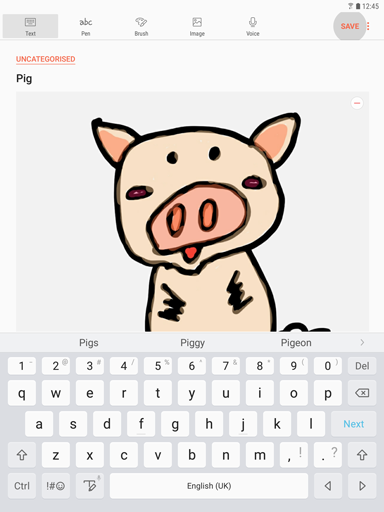 You can write using the virtual keyboard, your fingers or the S Pen. 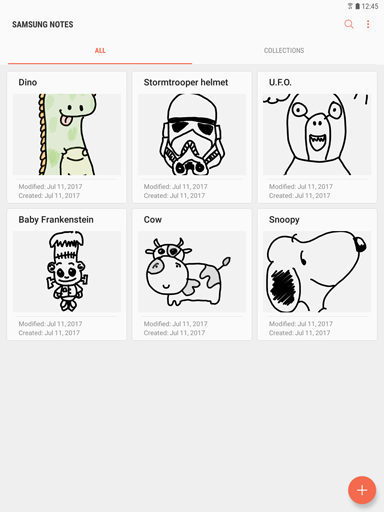 You can draw using your fingers or the S Pen. 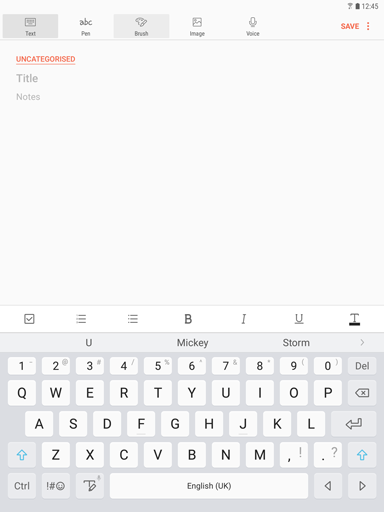 Enter a title for your note and touch SAVE to finish composing the note. Note: When writing or drawing on the screen, touch pen to change the pen type, line thickness, or pen color. • A: Change the pen type. • B: Change the line thickness. • C: Change the pen color. Note: When drawing on the screen, using the Brush tools, you can change the brush style, color, type, size and opacity. • A: Change the brush type. • B: Change the brush color. • C: Access brush settings. • D: Change the line thickness (touch the Brush settings icon to access this option). 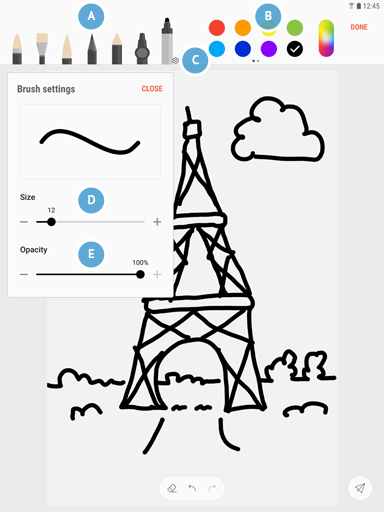 • E: Change the line opacity (touch the Brush settings icon to access this option). 3. 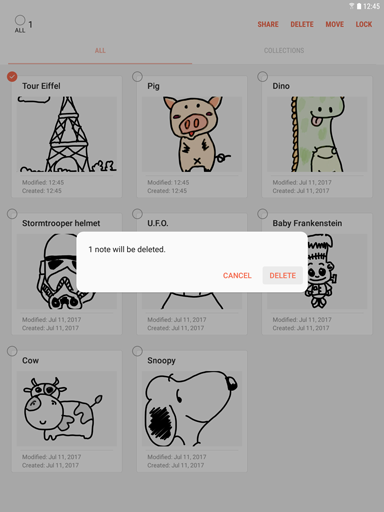 To delete a note, touch and hold the note you want to delete. 5. Touch DELETE to confirm your decision.